On 11 April the Turar Ryskulov New Economic University in Almaty in cooperation with UNESCO Almaty held a grand opening of the International Week "Cultural co-creation: building bridges between countries". The conference aims to integrate international space Kazakhstan science and education. 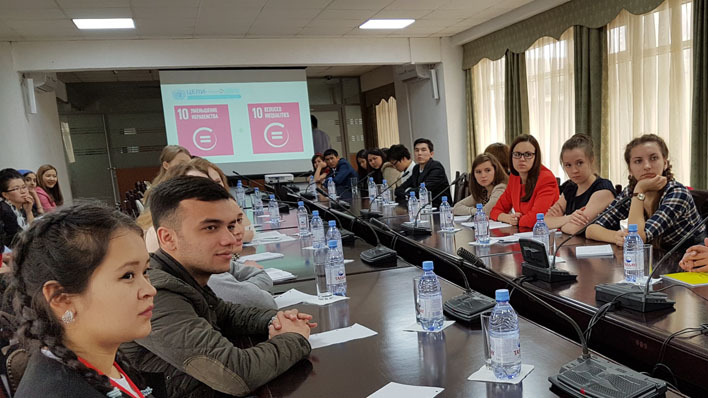 On the 3rd session on sustainable development goals and population of Central Asian countries, UNESCO Office in Almaty presented UNESCO Curricula Models on Journalism and Bioethics as well as the Open Education Resources Policy Model.